My girlfriends and I used to play tennis but no longer. Age and injuries got the best of us, but we still like to keep in touch by having brunch together on Saturdays. 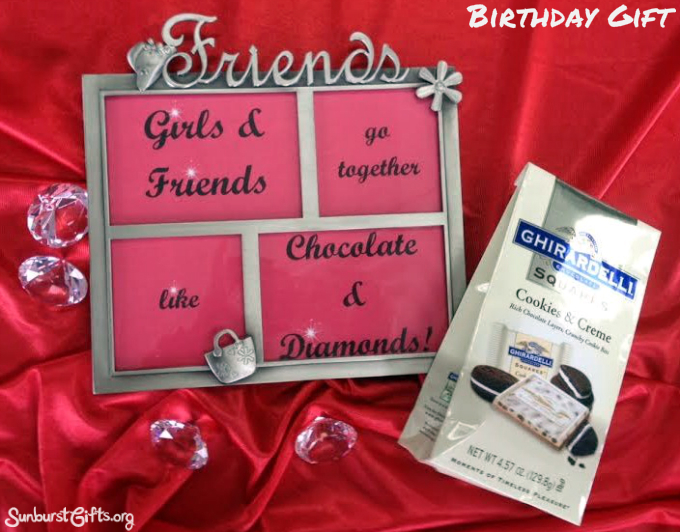 The perfect gift to celebrate a friend’s birthday! Carol is the glue for this girls’ group. 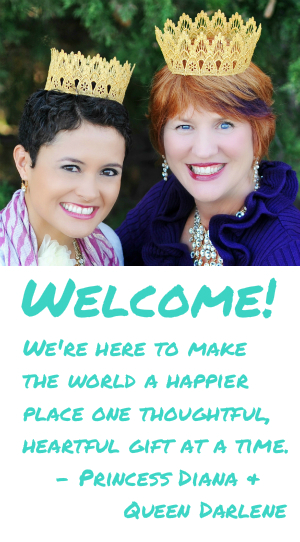 She contacts us to set up when and where we will meet. I love her for keeping us close and connected. Years ago, Carol gave all of us a “team picture” that I still have on my desk at the office. I cherish that picture and the memories of fun times together. It always makes me smile! It’s funny how your birthday plans change as you grow older. Instead of a fun night out on the town, this year I wanted to celebrate my birthday by going camping outdoors with my husband and son. 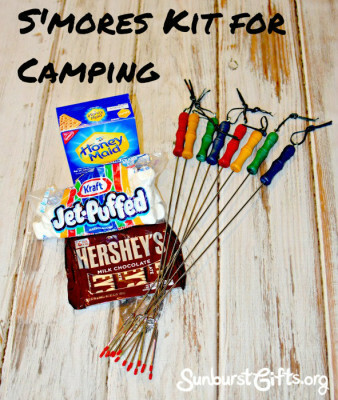 We’ve only taken my son camping once before and I was excited to continue want I wanted to become a family tradition. When my boss heard about my big plans to go camping during my birthday weekend, it inspired her birthday gift to me. She gave me a S’mores Kit for Camping which included an 8-piece marshmallow roasting fork set , a box of graham crackers, a package of Hershey’s milk chocolates, and a bag of marshmallows. For a birthday gift, I received a beautiful mosiac glass bird feeder. It was too pretty to let the birds poop on it so I made a decision to turn it into something else – a people feeder! We love having celebrations at our house for birthdays, graduations, anniversaries, Christmas, and all the holidays in between. Food and games are the center of our family celebrations. Because the bird feeder aka people feeder was such a hit, I decided to give something similar as a gift. 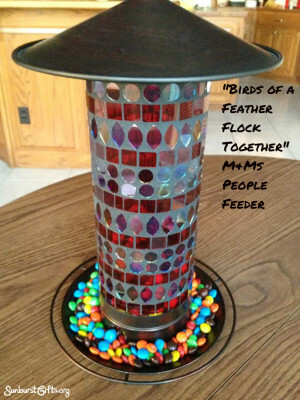 I purchased a beautiful bird feeder and a giant bag of M&Ms and called my gift “Birds of a Feather Flock Together” since it’s perfect to use for get-togethers with family and friends. 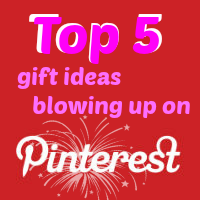 It’s also a thoughtful twist for a unique housewarming gift. It can be used immediately for a delicious snack and a fun conversation piece! 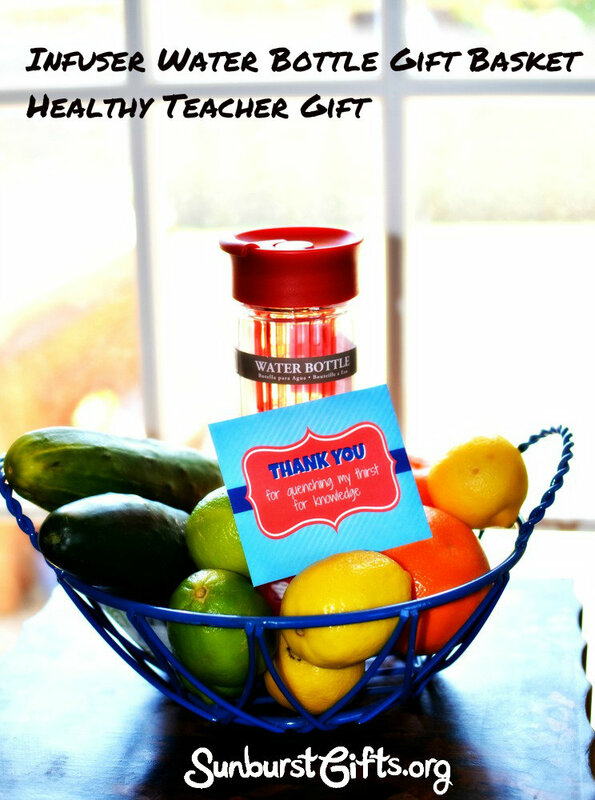 After having my first child, I felt so thankful to friends and family who came and visited bearing gifts of prepared meals. Between breastfeeding and let’s see… more breastfeeding, there was no time for anything else! Drop off this ready-to-eat meal for family and friends with new babies. 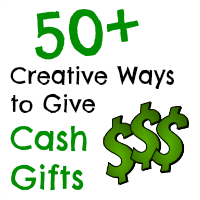 It’s easy to make and it will provide them with several hot meals! Just by popping the food dishes we received straight into the oven or microwave, my husband and I could eat lots of hot meals with very little work. It was a blessing I tell you! Our favorite dish came from one of our family members, Terri, who dropped off shredded chicken tacos and everything we needed to go with it. Not only was it delicious, but we were able to get two dinners and two lunches out of it which was awesome because those were four meals we didn’t have to worry about at all. 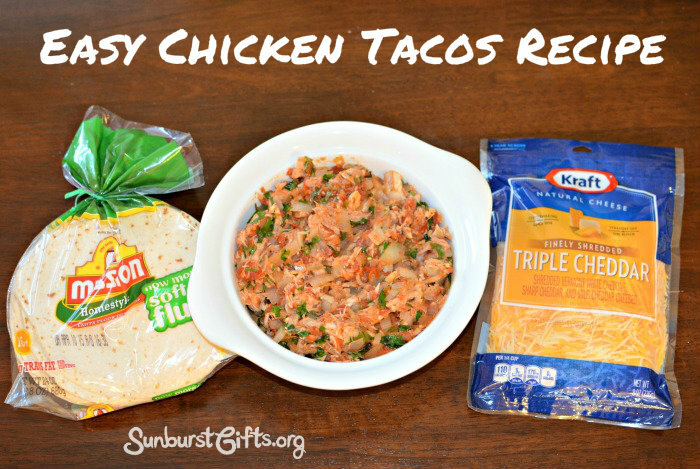 I asked Terri for her chicken tacos recipe, and she happily shared it with me. Thanks Terri! This gift idea men will literally eat right up. 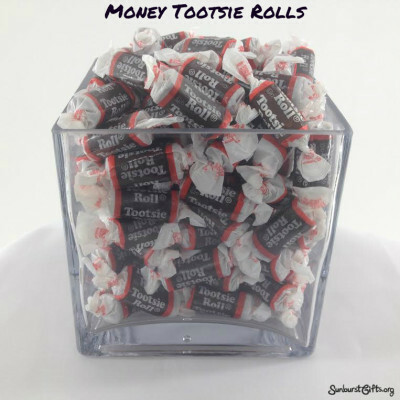 Give him his favorite flavors or some new flavors sure to awaken his taste buds! When it’s hard to pick out a gift for him, you can’t go wrong with edible gifts. Beef jerky and meat sticks make awesome presents because they’re such a tasty “manly man” food snack. 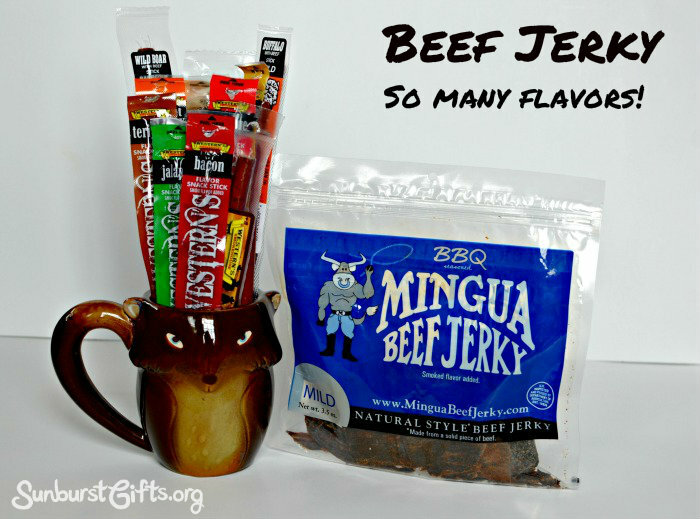 You can get him a jerky gift basket or jerky sampler that fits every budget, taste preference and meat preference. In addition to beef jerky, there’s venison (deer) jerky, chicken jerky, turkey jerky, pork jerky, bacon jerky and even pineapple jerky for the vegetarian. You can also buy gourmet jerky and exotic jerky made from elk, wild boar, alligator, alpaca, kangaroo, ostrich and even fish! Now that would make a memorable gift! When it comes to flavors, it seems like they’ve come up with 101 varieties. You can buy jerky in flavors like teriyaki, barbecue, jalapeno, Cajun, bacon, maple bacon, lemon pepper, sweet and spicy, chili pepper, pepperoni, and so much more. Whiskey and Coke – one of the world’s most popular cocktails. 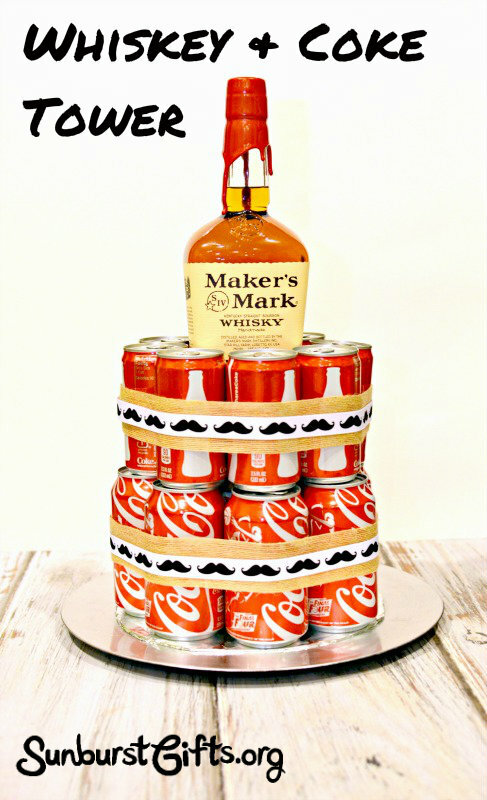 Whether he likes his drink made with Jack Daniels (Tennessee whiskey), Maker’s Mark (bourbon) or Jameson (Irish whiskey) or some other brand, you can make a Whiskey & Coke Tower using his favorite brand of liquor. 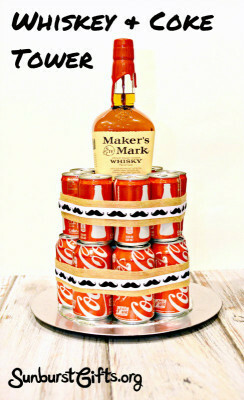 The Whiskey & Coke Tower pairs together his favorite bottle of whiskey with cans of Coke for a stunning presentation. 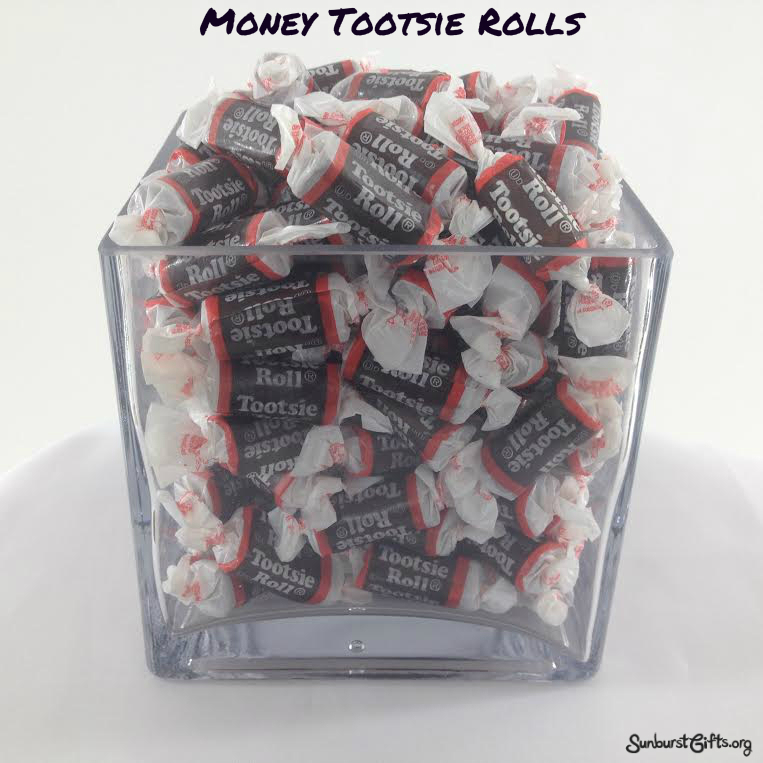 It makes a great centerpiece for a bachelor party or birthday party, and it’s not hard to make. My niece loves stuffed animals that sing, talk or play music and I wanted to give her fancy chocolate chip cookies for her birthday. Hmmm? 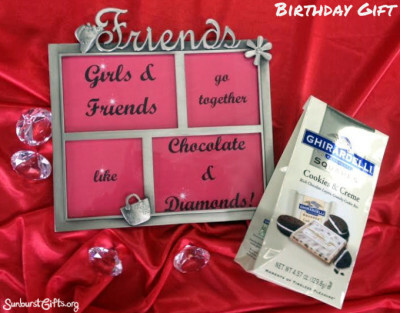 How to combine the two as a gift? Who likes chocolate chip cookies more than anyone else? Cookie Monster, of course! “Me want cookie!”, “Me eat cookie!”, and “Om nom nom nom” said the Cookie Monster through a mouth full of cookies. I found the perfect Cookie Monster stuffed animal singing a song by counting from one to 20 cookies. For a thoughtful twist, I purchased a large cookie jar so he would fit inside. 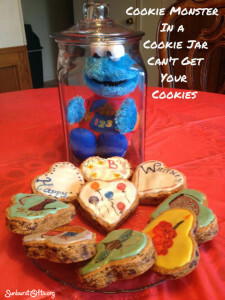 Cookie Monster in a Cookie Jar! We do not want Cookie Monster eating the fancy cookies so I placed the cookies outside the jar. Cute! Huh? This was the centerpiece for Whitney’s birthday party. It was a hit and everyone loved choosing their own cookie. I love magic! Who doesn’t? With a wave of the hand – out pops a snack! When I saw the SnackMan Motion-Activated Dispenser that makes healthy munching easy-peasy, I knew it would be the right gift for my husband’s sister and her spouse for Christmas. They always try to eat healthy and this fun gadget creates a smart way to have portion control. 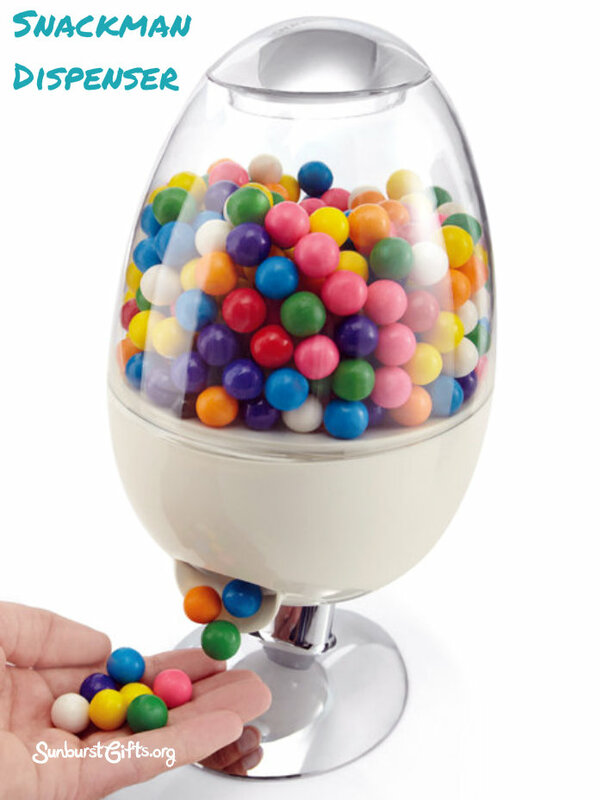 The SnackMan Motion-Activated Dispenser features three settings: Small Handful, Large Handful or Bowlful. Once set, the same perfect portion is dispensed every time.